Blog with Bo-: WHAT NEXT ? The Everglades ecosystem encompasses a system of diverse wetland landscapes that are hydrologically and ecologically connected across more than 200 miles from north to south and across 18,000 square miles of southern Florida. 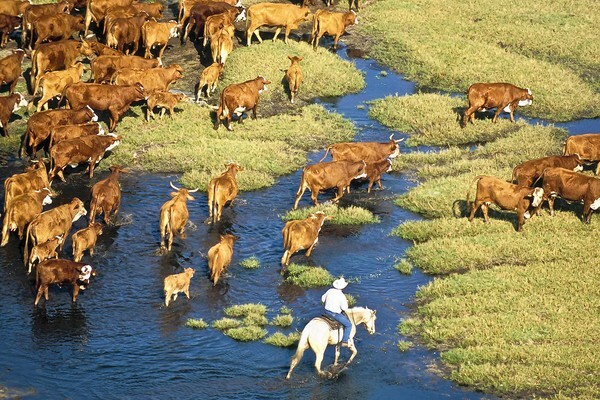 Now, what next for the Everglades restoration ? The governments remind us that a number of restoration projects have been accomplished or are in different stages of progress (read the Fact Sheets). While there is more improvement studied and on drawing boards, the projects are looking for the essential funding. Yes, it all costs money and different stake-holders are outdoing each other – standing “for” as well as “against”. As customary, lobbying is in overdrive. Given both the cloudy current economic situation and with the current Florida legislators not very environmentally inclined, perhaps it is time to regroup and reflect – what should be the next priorities and steps toward effective Everglades restoration that, as almost everybody in general agrees upon, is needed ? ● Introduce and enforce strict measures in the form of effective farm BMPs with teeth. ● Introduce and promote the nutrient reduction credit trading. ● Regulate and restrict the uncontrolled urban sprawl and excessive development. ● Enforce effective urban sewage treatment, minimizing the nutrient discharges. 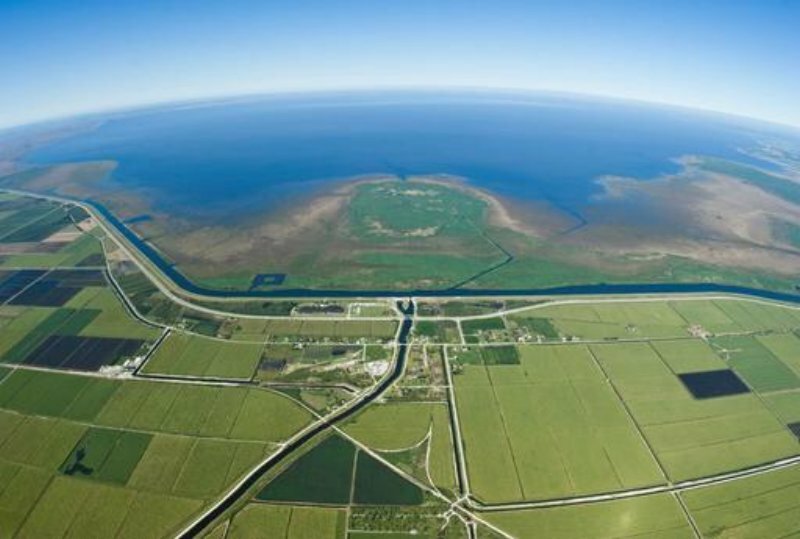 (2) Lake Okeechobee – the liquid heart of Florida is seriously impaired and cleaning up its watershed (above) will certainly help. However, there are tons of “legacy phosphorus” in its mud deposits that should be gradually “removed”. At present, the question of devising the best way of doing so remains outstanding. ● the overhaul and reinforcements of Hoover Dike around the Lake is mandatory. Florida unusual and extreme seasonal rain variations call for both reliable flood protection and extraordinary water storage capacity. ● Eco-regulation of optimal Caloosahatchee and St. Lucie Rivers water releases. (c) soil oxidation and subsidence to the underlying rock in large areas (more than 3 feet subsidence). ● Consolidate land holdings and allocation (“land swap”) for enlargement of existing STAs (with reservoirs – FEBs) and/or new FEB-STA construction. ● Restore and replenish the subsided soil, (using LO muds ?) increasing its levels. ● Provide for clean water sheet-flow south towards the ENP and Florida Bay. ● Extend the Tamiami Trail elevated bridging. ● Control water seepage in the easterly areas of South Florida. ● Take appropriate steps to minimize the salt water underground advance/penetration. What about ME ? I don't think that I am all that important. I am perhaps a pragmatic and technical person - and a dreamer at the same time - a Scientist and an Engineer: "Let's get things done" - to the best of our most conteporary knowledge and with all in the decision-making process being really honest ! I am excited about the challenges the Everglades present nowadays. 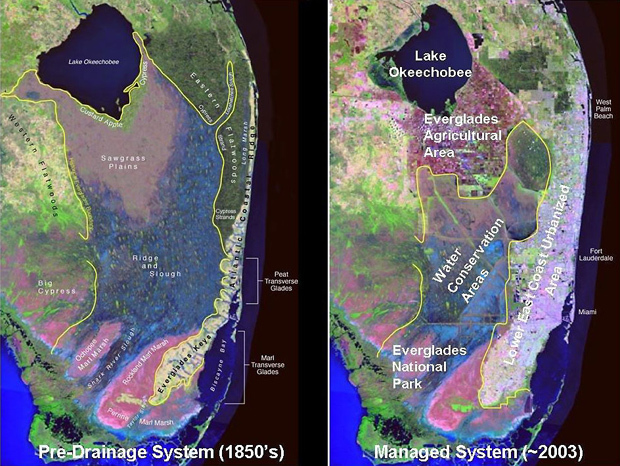 There have been errors in the past in how the delicate Everglades system has been handled. Now let's see just how we can correct those errors. I appreciate our ecology that supports our lifestyle - for a price. Human civilizations rose and fell because of water availability. The fascinating Everglades are the largest eco-experiment in the world - can we and are we willing to pay the price for setting it right ? And - are we completely (cross-your-heart) honest in our decision-making, all greed aside ?